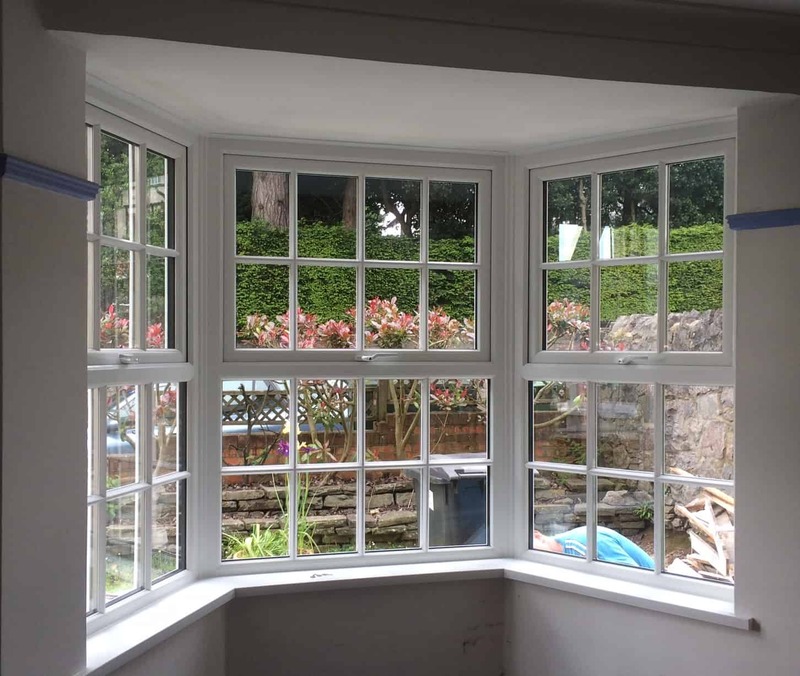 If you are looking for replacement UPVC windows in Cardiff then we can offer you a quality range of secure, efficient and stylish double glazed windows. Here at Inspire Windows, we have over 15 years experience in the supply and instalment of UPVC windows. Our double glazing experts consistently provide exceptional products and service. You’ll be guaranteed a replacement uPVC Window service that completely redefines the standards of product quality and customer service. We understand the importance of getting the job done swiftly, professionally and first time. 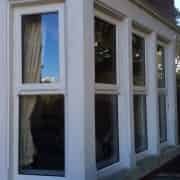 You won’t be left out in the cold and you won’t be left with uPVC that is failing to perform in your Cardiff home, here at Inspire Windows we only offer the best, and always strive to out do ourselves. High quality uPVC doors will always prove themselves to be an important and beneficial addition to any Caerphilly home. Here at Inspire Windows we offer an unbeatable and outstanding standard of uPVC door that will ensure complete, and consistent satisfaction. Offering a comprehensive and versatile range of uPVC doors, our styles include Front Doors, Back Doors, Patio Doors, Bi-Fold Doors, French Doors and Stable Doors. All of our uPVC doors feature the outstanding uPVC doors profile from REHAU. 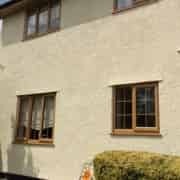 This profile offers more for all Caerphilly homeowners, and will completely enhance performance, security, durability and thermal efficiency throughout. Being one of the first companies in the UK to produce and sell uPVC systems, REHAU have become one of the largest single producers of uPVC doors and windows systems. This means that they have a wealth of experience in customer satisfaction, and will always offer you the best. Featuring an inherently strong frame, our uPVC doors all achieve exceptional standards of security and durability. 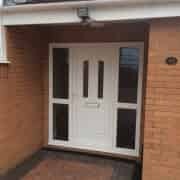 This sturdy design means that any and all uPVC doors from us will be a worthwhile and beneficial addition to you Caerphilly home, and will keep you and your family safe. The REHAU uPVC doors profile consists of internal beading, intelligent design and a 10-year manufacturer’s guarantee. This means that you’ll be completely covered across the board, and won’t find yourself with any would-be intruders. You can also opt to have your uPVC doors fitted with re-inforced chambers to achieve ultimate home security. All of our uPVC doors are fitted with multi-point, shootbolt locking systems which help to fortify the door, and therefore keep a consistent standard of security throughout. Get peace of mind, with Inspire Windows. Keep your Caerphilly property warm and cosy in those winter months, with our uPVC doors. By achieving a Window Energy Rating of ‘A’, all of our uPVC doors enable your heating to stay inside your home where you want it, and where it belongs. 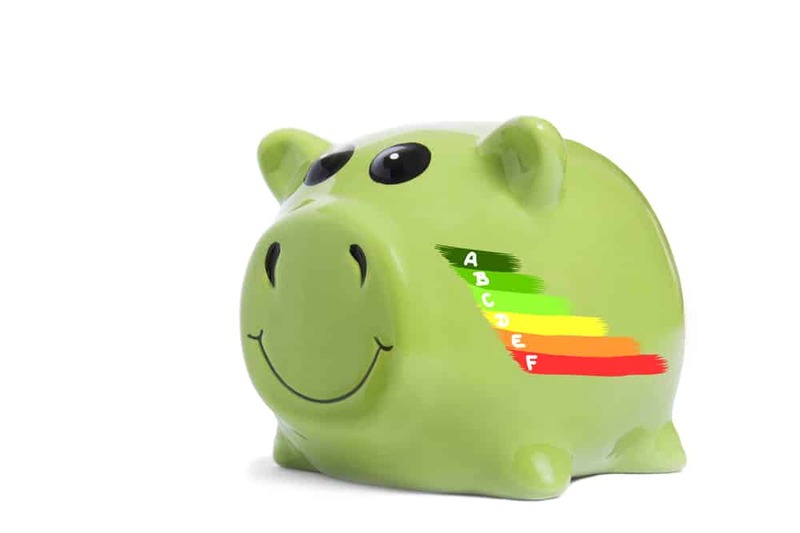 This outstanding standard of energy efficiency will result in you putting your heating on less, due to the fact that your Caerphilly home will not only get warmer, it’ll stay warmer for longer periods of time. Less heating means lower energy bills, which also means a reduced carbon footprint. Feel the benefits, with Inspire Windows. uPVC doors need to operate as welcoming and easy to use focal point for your Caerphilly property. This is exactly why we offer you the option to install your door with a low threshold, and ensure that any guests, even wheelchair and pushchair users, can easily access your home. Our comprehensive range of uPVC doors styles allows all Caerphilly homeowners to get the perfect style that both fits their property, and matches it’s aesthetic and dynamic seamlessly. We offer wide varieties of colours and finishes, so you won’t be left wanting. Our uPVC Front Doors and uPVC Back Doors have proven themselves to be a very classic, practical and popular choice throughout the Caerphilly area. Outfit your home with a uPVC door that brings more, without burning a hole in your wallet. Offering a wide range of designs and styles, we’ll always make sure you have enough options to completely tailor your uPVC doors to how you want them. You’ll be able to choose from a large number of glazing options, opening styles, colours and finishes. Don’t settle for less, with Inspire Windows. Consisting of a unique uPVC doors design, patio doors offer exclusive benefits for your Caerphilly home. Due to an easy to use, super smooth sliding system, patio doors don’t require swing space. This means that they are perfectly suited for balconies, porches and conservatories. By combining this feature with slim sightlines and large surface areas of glass, our Patio Doors enable you not only enjoy a spacious and bright feel to any room they are installed in, it also allows you make the most of the space in said room. We understand the important of getting uPVC doors that are the perfect fit, and this is why we allow you to choose from a 2,3 or 4 panel door design. This way, your patio doors will always operate smoothly, and look beautiful whilst they do it. Bi-Fold doors utilise an incredibly intelligent and modern design to create a seamless connection to your garden. With 90% of the door aperture neatly folding away upon opening, Bi-Fold doors leave a completely unobstructed opening in their wake. This opening offers maximum accessibility for not only wheelchair and pushchair users, it also allows ease of access for large groups of friends and family, or even if you’re transporting large items to and fro. Enjoy all the benefits, with none of the hiccups. As uPVC doors go, bi-fold doors always ensure a sleek, elegant and easy to use operation. This guarantees that as an addition to your Caerphilly home, they’ll always be able to offer more across the board, and will greatly enhance your home in a number of ways. Enabling Caerphilly homeowners the chance to bring a continental flair to their homes, French doors offer a beautifully crisp, clean and European aesthetic that is sure to be enjoyed all year round. Much like bi-fold doors, they don’t require a fixed mullion, and therefore leave a wide and spacious opening behind. Achieving more than just aesthetic appeal, our French Doors also achieve outstanding levels of thermal efficiency and security. Protect yourself from the worst of the British weather, and keep would-be intruders out of your home, with French doors from Inspire Windows. You’ll be sure to get the perfect French door aesthetic with our wide range of decorative options, which includes mid-rails, side lights, Georgian bars and decorative glass. Take your time, and get the right uPVC doors for you. Achieve a beautifully traditional aesthetic that exudes a country and homely feel, with our wonderful stable doors. By combining multi-functionality and high performance, stable doors offer more than your average uPVC door. The signature of the stable door design is that both sashes can be operated separately from each other. This means that you can increase air flow, accessibility and enhance views without compromising on security or safety. Both sashes can also be interlocked to allow your stable door to operate as a single unity, the choice is yours. Why not choose a beautiful wood-grain finish to achieve the ultimate traditional look? We offer a wide range of colours and finishes so you’ll always get the look you want, and one that completely complements the look of your Caerphilly home. 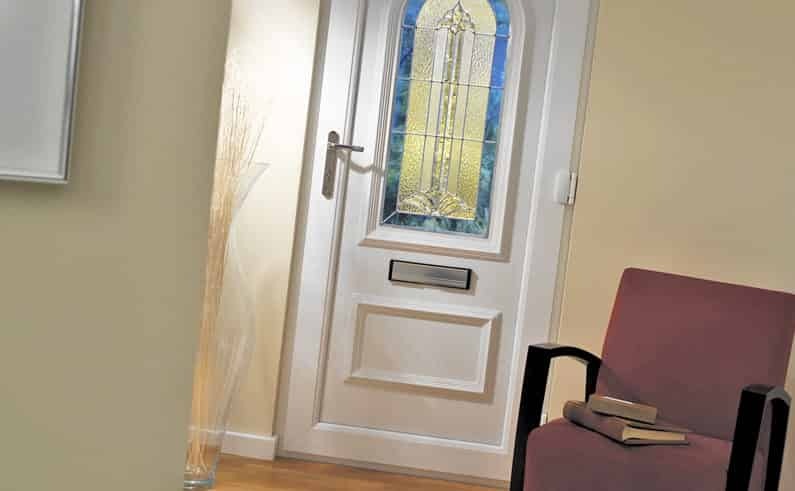 Has one of our uPVC doors caught your eye? It’s never been easier to get your perfect choice! Don’t delay in visiting us today to get your free, instant online uPVC doors quote. Still deciding? Get in touch with us via our online enquiry form, where a member of our friendly team will always be on hand to help you with any problems you might have. After a premium quality uPVC Door? Inspire Windows are an established, respectable and experienced uPVC Door installer. Your search ends here. Our exceptional uPVC Door range consists of Front Doors, Patio Doors, Bi-Fold Doors, Stable Doors and French Doors. REHAU are our trusted uPVC Door manufacturer. security, durability, thermal efficiency, accessibility and design. Our uPVC Door range ensures a high level of door security for your Newport property. Intelligently designed, uPVC is designed to snap under excessive force. Although this may sound like a negative, it isn’t. To gain unauthorised access through a uPVC door, a would-be intruder would need a point of leverage upon the door frame to force the uPVC Door open. The frame of our uPVC front doors will snap when this is attempted, but the locking hardware will remain intact and fully functional. This means your front door will stay locked, but it will not have a point of leverage for it to be forced open with. Reinforced chambers are also available upon installation, to increase uPVC front door security. These chambers are exceptionally good at resisting blunt force. Keeping you and your family safe in your Newport home. 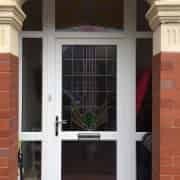 Every uPVC door we provide can be fitted with internal beading, which prevents panes of glass being removed via the exterior of your Newport home, and giving intruders easy access. High security, multi-point locking systems are also available, which ensure door fortification, and keeps the high security standard consistent across both the uPVC door frame and the lock. All of our products are accompanied with a 10-year manufacturer’s guarantee and a 10-year insurance backed guarantee, this ensures the durability and reliability of your uPVC Door, and proves them to be a worthy investment for your Newport home. REHAU’s advanced technology ensures that a uPVC door from us will never rot, warp or discolour. We’re in it for the long run. 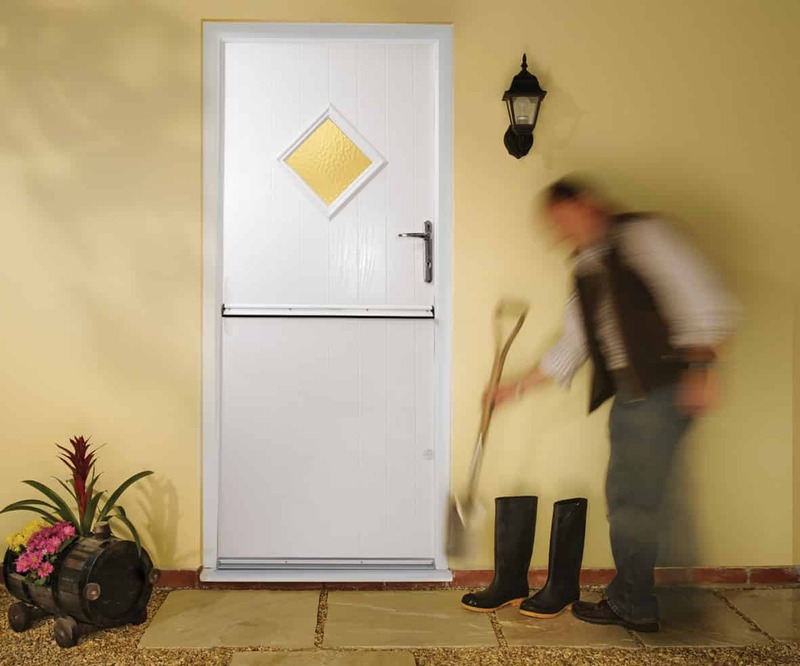 A uPVC door has the potential to be a constantly used access or exit point. This is the reason we’re so stringent on our accessibility standards. Each uPVC Door can be fitted with a low threshold. This is ideal for uPVC doors that will be used by wheelchair or pushchair users. The low threshold reduces the need for any chair lifting, and puts no restrictions on who can come visit you and your family in your Newport home. We understand that every Newport property is different. Our whole uPVC door range contains designs that can fit any Newport home, and cater to your uPVC door needs. As standard, a uPVC door from us will be ‘A’ rated for its thermal efficiency, which means it reaches the best standards of heat retention and energy management for your Newport property. Thermal efficiency ratings are based upon the Window Energy Ratings (WER) system from The British Fenestration Rating Council (BFRC). The BFRC are a prestigious and respected authority on thermal efficiency, and only the best products land on the higher end of their A-G (highest to lowest) WER scale. An ‘A’ rated uPVC Door means that the heat from your central heating will remain in your Newport home for longer. This means that you’ll have to put the heating on less, which means you’ll save money on your heating bills. What’s not to like? Wait, there’s more. Because you’ll be using less heating in your Newport property, it also means that you’ll be using less energy overall. This results in a notable reduction of your carbon footprint, which is incredibly eco-friendly! Our uPVC Door range will save you money, without costing the earth. Although uPVC door performance is very important, this doesn’t mean we neglect the aesthetic side. We offer a wide choice of colours and finishes for our uPVC door selection, including a standard range and extensive range. Standard colours are as follows: ‘White’, ‘Mahogany’, ‘Rosewood’ and ‘Golden Oak’. The standard range is perfect for achieving a classic uPVC door look. The ‘Rosewood’, ‘Golden Oak’ and ‘Mahogany’ are great for traditional Newport homes, whilst the ‘White’ fits perfectly with the more contemporary Newport property. Of course, the colours look great no matter the property, these are just some friendly suggestions. The extensive range of colours consists of: ‘Chocolate Brown’, ‘Black Cherry’, ‘Walnut V’, ‘Anthracite Grey (Flat)’, ‘Mahogany’, ‘Slate Grey’, ‘Chartwell Green Sovereign’, ‘Shogan AF’, ‘Stripe Douglas’, ‘Anthracite Grey (Grained)’, ‘Cream White’, ‘Brilliant Blue’, ‘Dark Oak’, ‘Agate Grey’, ‘Wine Red’, ‘Golden Oak’, ‘Black Brown’, ‘Sapeli’, ‘White’, ‘Dark Green’, ‘Dark Red’, ‘Natural Oak’ and ‘Grey’. Our extensive range of uPVC door colours enables you to really tailor your uPVC door to your tastes, and inject a sense of personal character into your Newport home. Choosing the right colour is incredibly important to your Newport home dynamic, this is why our extensive range of colours can accommodate to a wide scope of preferences. A front door is an essential focal point for any Newport property. A popular and age-old design, our front doors can be fitted as a simple glazed design, or you can opt for some more elaborate options. To fit seamlessly into your Newport property, our front doors come with a range of design choices. You can choose to have your front door open inwards or outwards depending on where it’s being fitted. This is ideal for matching the space in which they are being installed, where an inward or outward opening arc may be inconvenient or impossible. You can also choose to have sidelights installed next to your front doors, to maximise light allowance and enhance aesthetics. These are a great way of making your entrance ways brighter, and allow for an illusion of space. 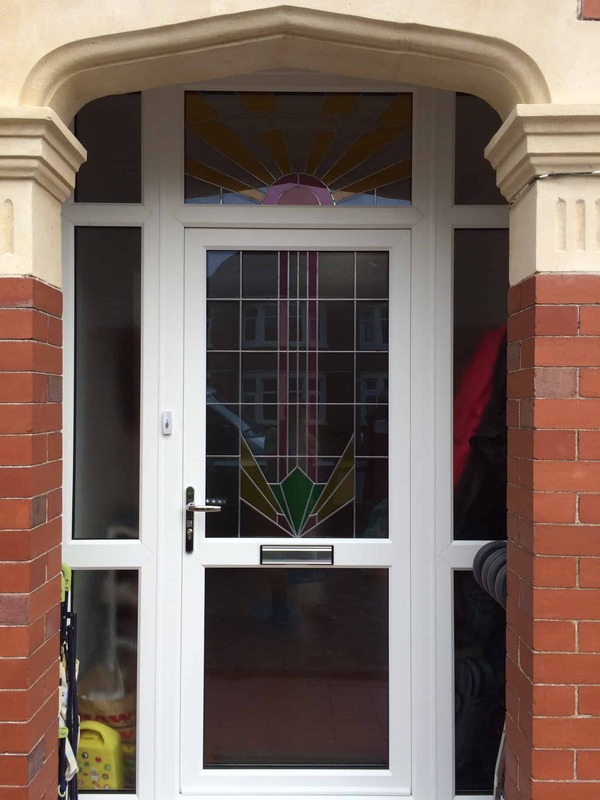 Sidelights are a great way to make your Newport home more welcoming and bright. 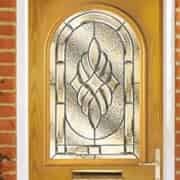 We also have a wide range of front door glazing options, including ‘glazed-in’ panels and/or glass. Additionally, you can outfit your front door with a mid-rail, to break up the planes of glass, or have glazed in panels to give your front door an individual style. Our front door is an exceptional uPVC door. The choice is yours, it’s time to make your Newport house even more of a home. Achieving top-quality standards of front door security with high quality uPVC, our front doors are inherently robust and resistant to force. Sporting the incredibly sturdy REHAU uPVC door design, your Newport property will be a fantastically secure place to be. All of our front doors are fitted with premium, multi-point locking systems to ensure that our front doors are not compromised by a weak lock. This ensures consistent security throughout the whole door, and eliminates any weak spots in the front door design. This is a truly secure uPVC door. Installing a low threshold into your uPVC door will greatly increase its accessibility for wheelchair and pushchair users. This means you can accommodate for any and all visitors to your Newport property. 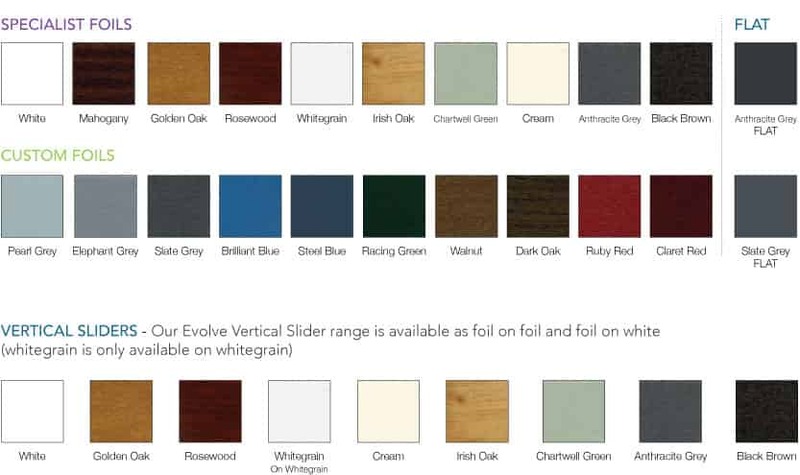 Our whole front door range can be decorated with our standard, or extensive colour range. Featuring classic colours like ‘Mahogany’ and ‘Rosewood’, as well as specialist colours like ‘ChartwellGreen’ and ‘Anthracite Grey’, you really can choose the right front door colour for you and your Newport property. Struggling to choose? Use the REHAU Colour Selector to help you out! Create the right uPVC door for you. Because Patio Doors do not require swing space, they are incredibly versatile in their installation, and perfect for porches, conservatories and balconies. Because they do not need to swing, patio doors allow for maximised room space and decoration, giving you the option to place decorative items such as plants or vases on either side of the uPVC door, to really bring some added character to your Newport home. Featuring a slim uPVC door frame, our patio doors have a large surface area of glass. This not only allows fantastic views of your garden, it also allows natural light to flood in and light up your Newport property. Patio doors can bring a real ‘feel good’ factor to any room they’re in. Manufactured using the exceptional REHAU uPVC door design, our patio doors display an impressive standard of security. With internal beading, there is no way any would-be intruders can remove the patio door glass and gain unauthorised access into your Newport home from the outside. The only access to this function is from the interior of your property. Patio door security is ensured with the installation of a 4-point locking system as standard. 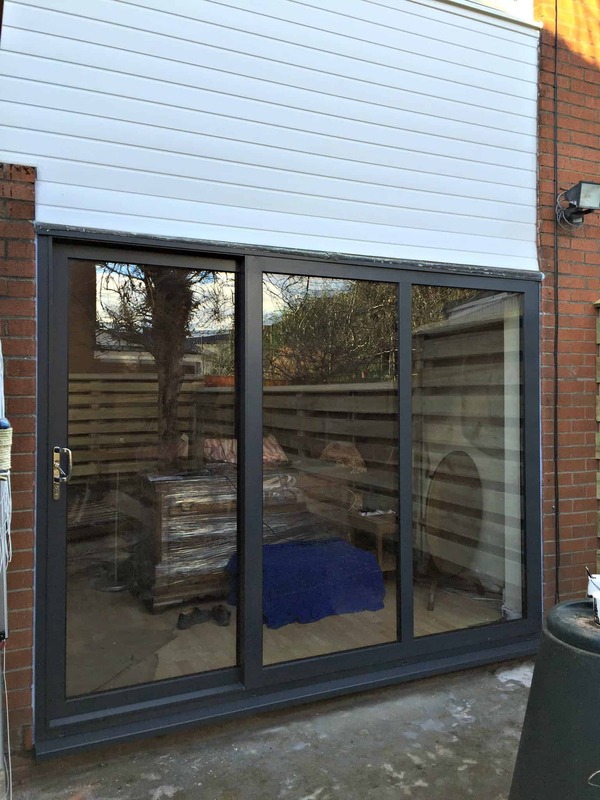 To enhance patio door security further, we also install our ‘anti-jacking’ technology which prevents any of the sliding doors being lifted from the outside, and eliminates the chance of any break-ins through this method. After intensive police testing, all of our patio doors have gained high security approval. This ensures the highest standards of uPVC door security available. Our patio doors save you money and reduce your carbon footprint. Fitted with windows that achieve an ‘A’ energy rating from BFRC, you can be rest assured that the heat retention of your Newport home will be notably increased by our patio doors, and you’ll feel the benefits for many years to come, thanks to this exceptional uPVC door. 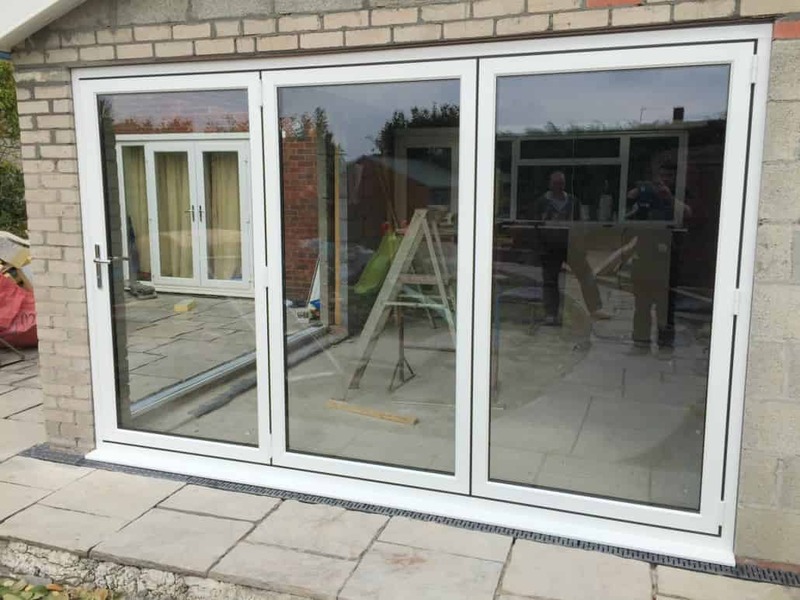 Patio doors can be adapted to any space they are being installed in. We offer the option of a 2,3 or 4 uPVC door design. You can also outfit your patio doors in any of the colours from our standard or extensive uPVC door colour selection. Why not use the REHAU Colour Selector to truly help visualise your perfect patio door colour? Bi-Fold Doors are the perfect way to use a uPVC door to seamlessly connect your Newport home with your garden. Our innovative bi-fold doors are intelligently designed to fold away easily and neatly, which not only maximises space, it also greatly improves usability. Using bi-fold doors have never been easier, and are a beautiful modern touch to any Newport property. Bi-fold door security is assured with REHAU’s technologically impressive uPVC door design. Combining the strength of high quality uPVC with a highly secure, multi-point locking system, our bi-fold doors boast a standard of unprecedented security. You can rest easy in your Newport home, and fully enjoy the benefits of this wonderful uPVC door. Because bi-fold doors fold away neatly, and don’t require a fixed mullion, they offer a fully open space in their wake. This allows uninterrupted access for large items, wheelchairs and pushchairs. This uPVC door also creates large and spacious opening to your garden. Live in your Newport home, unrestricted, with our bi-fold Doors. Bi-fold installation can consist of a maximum of 7 panes of glass, which can be joined together in a number of inward/outward opening options. 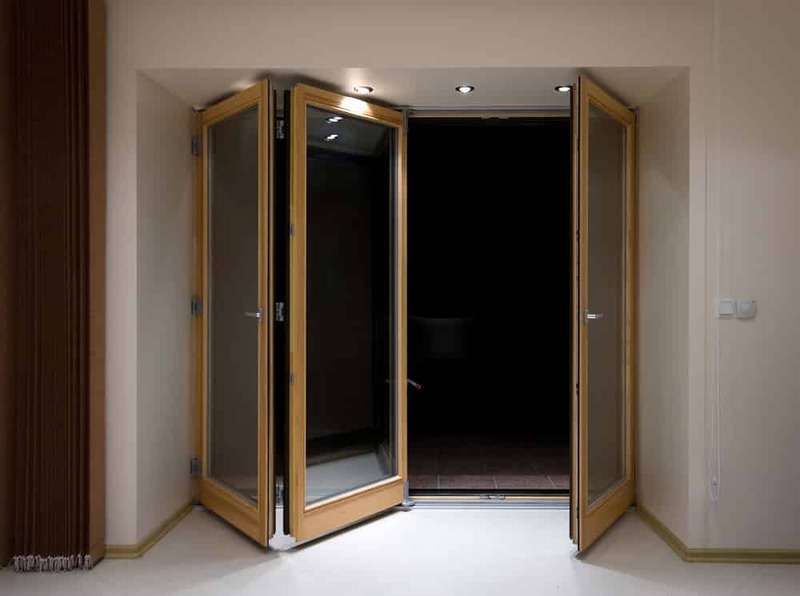 This allows our Bi-fold doors to accommodate for your tastes, and Newport property effortlessly. Our Bi-fold doors can be fitted internally or externally. Whatever the need is, we’ll sort it. Available in our standard uPVC Door colour selection and extensive uPVC Door colour selection, your Bi-fold doors will look how you want them to. French Doors are an easy, practical and beautiful way to bring a taste of the continent to your Newport home. The French door design exudes a classic aesthetic, it’s elegant and attractive, and is sure to be enjoyed by any and all. Our French doors can be fitted with the latest in high security locking mechanisms. This ensures the highest standards of security available for your Newport property, and keeps you and your family safe. Because our French doors utilise the REHAU uPVC door design, they consist of a surprising standard of inherent strength. This will protect your house against would-be burglars, by holding steadfast against break-in attempts. French doors can open out fully, leaving an unrestricted opening behind. This is due to the fact that French doors don’t require a fixed mullion. The space that is created upon opening allows a high standard of accessibility, ensuring ease-of-use for wheelchair and pushchair users, as well as transporting large items. All of our French doors contain Planitherm glass, which achieves an ‘A’ rating on the BFRC Window Energy Ratings scale. This ensures an incredibly high level of thermal efficiency which will save you money on your heating bills and reduce your carbon footprint. Although French doors are naturally very attractive, we offer a wide range of customisation options. You can outfit your French doors with mid-rails, side lights, decorative glass of Georgian bars. The choice is yours, don’t be afraid to indulge! Stable Doors are renowned for achieving a beautiful country-style look. 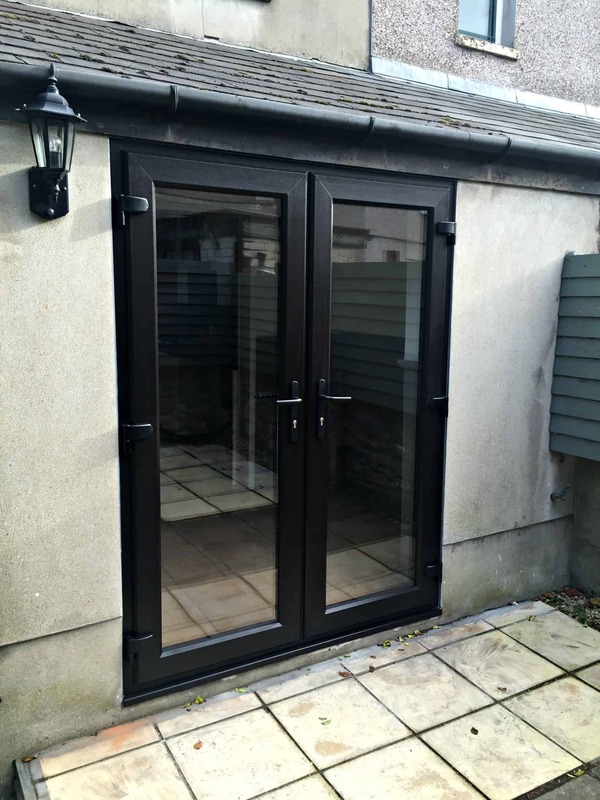 By installing them, you’re guaranteed to add a traditional, cosy and welcoming addition to your property in Newport. All of our stable doors effortlessly combine an age-old look with the modern innovation of REHAU uPVC door design. Exceptional stable door security is achieved via a galvanised steel core, this makes our stable doors incredibly strong and resistant to break-in. The design of our stable doors is incredibly security conscious, utilising anti-crowbar technology to eliminate any security compromising weak spots. Because stable doors contain two independent halves, they pave the way for multi-functionality and multiple benefits. By opening the top half only, you can welcome increased ventilation into your Newport property, without compromising home security, or the safety of your children or pets. Both stable door halves can be interlocked to function as a single unit, providing you with an extremely efficient single door. Our stable doors are available in a wide array of colours and wood-grain finishes, so you can choose whether they blend seamlessly into your Newport home, or stand out and make a statement. Can’t choose between Chartwell Green, Golden Oak or Wine Red? Use the REHAU colour selector to help you visualise the perfect selection. Interested in selecting a door from our uPVC door range? Get a free online quote today to get the ball rolling on home improvement heaven! Alternatively, you can get in touch via our contact form, or give us a call on 02920 734573 or 02921 321037. Why Choose Inspire for Your Double Glazed Doors in Newport? Inspire Windows are proud to offer a premium quality range of double glazed doors, visit our quote engine today to find out about our competitive prices! Our selection of double glazed doors contains uPVC Bi-Fold Doors, uPVC Patio Doors, uPVC French Doors and uPVC Stable Doors. Inspire Windows uPVC doors benefit greatly from the REHAU profile, which ensures the highest quality of uPVC standard available to your Newport property. The exceptional design of our uPVC Doors outclasses your average uPVC product in a variety of ways, allowing them to rival the market on cost-effectiveness, energy efficiency, security, practicality and versatility. Our uPVC doors can really become an extension of your personal style through our wide range of designs and colours. It’s easy to underestimate the importance of a front door, maybe even take it for granted. However, it’s important to note that they are the main point of access point for your visitors, and have a large surface area which is capable of drawing the eye, especially with a splash of colour. In short, how your uPVC door looks and performs can ultimately determine the dynamic of your property. Inspire Windows Newport understand this, and we know that from our range of uPVC doors, there will be an ideal one for you. Our range of uPVC doors includes uPVC Patio Doors, uPVC Bi-Fold Doors, uPVC French Doors and uPVC Stable Doors. They can be outfitted in a range of attractive colours, and can be accompanied by sidelights in order to increase the amount of natural light entering your home. All of our uPVC doors contain a convenient maintenance-free finish, which means that once they are installed, you won’t have any headaches like repainting or repair. This also means that they keep a clean appearance without the chore of cleaning. The high gloss finish ensures that your Newport home won’t be affected by rotting, or warping uPVC doors. Due to the high quality profile, all of our uPVC doors have an ‘A’ rated energy efficiency rating, appointed by the British Fenestration Rating Council (BFRC). This ensures that your home will retain its warmth. 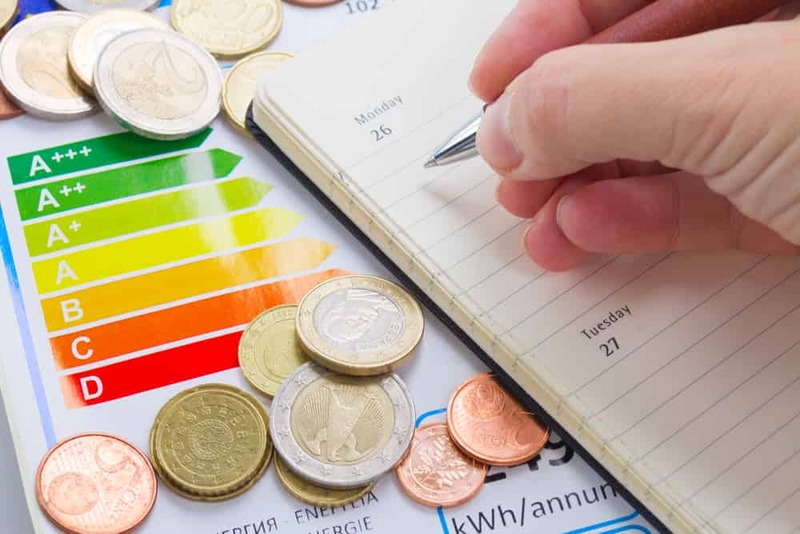 Preventing heat escaping is important, as the more that heat that escapes, the longer you’ll keep your heating on, and the higher your energy bill is going to be. With uPVC doors keeping you warm and saving you money, what’s not to like? As well as offering peace and warmth to your Newport property, our uPVC doors will also bring additional security. With the combination of our multi-point locking systems and a robust, reinforced uPVC profile, our uPVC doors will uphold your safety to the highest standard. Just to give you a little extra peace of mind, all of our uPVC doors are approved by high security (SBD), which means that they’ve undergone extensive testing by the police, and come out top of the class when it comes to ensuring the safety of your loved ones. What’s more, our uPVC Doors come with a 10-year warranty as standard to ensure our double glazed doors are a worthy investment. 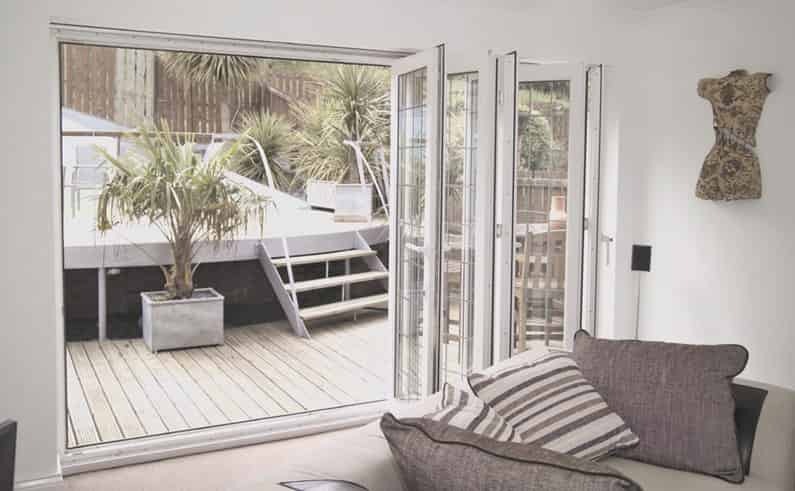 uPVC Bi-Fold Doors are the perfect choice if you’re looking for a seamless connection to your garden with panoramic views. They are the pinnacle of cost-effective uPVC door design, and will really bring a contemporary essence to your Newport property. One great advantage of uPVC Bi-Folding Doors is their ability to adapt to large spaces with their changeable panel number, allowing them to accommodate small and large spaces Newport homes. This means that they can conveniently adapt to where you want them placed. They also feature great functionality, as they operate on a satisfyingly smooth rail system. This means you can impress visitors by demonstrating how they elegantly open and neatly fold themselves away to ensure maximum space conservation. uPVC folding doors open out fully – this means you’re left with a large open space that offers complete accessibility without any interrupting framework. This also means that you have unimpeded views of your garden, allowing you to sit back and watch the world go by anywhere you wish. Our range of uPVC doors also cover uPVC Patio Doors, uPVC French Doors and uPVC Stable Doors. We’re sure you’re sold on uPVC Doors, so why not use our quote engine to find out about our competitive prices in Newport? If you’d like more information please use our contact form, or if you’d like a more human touch, you can call us on: 02920 734573 or 02921 321037. Any of our helpful team will be happy to assist you. Inspire Windows Newport are proud to present an exceptional range of Double Glazed Windows, which are guaranteed to bring a wide range of benefits to your Newport home. Sporting the REHAU profile, all of our double glazed windows are guaranteed to surpass your average uPVC profile in a range of ways, including energy efficiency, security and versatility. Also, to make things easier for you, all of our uPVC windows contain a unique finish that ensures they will be maintenance free. Like being spoilt for choice? Our double glazed windows are available in a range of designs and colours, allowing you to indulge yourself and decorate your Newport property the way you want to. Browse our range of uPVC Casement Windows, Tilt and Turn Windows and Sliding Sash Windows to treat yourself to the most cost-effective and secure double glazing the market has to offer. Our double glazed window range uses recyclable uPVC material in its construction, to ensure they are environmentally friendly. This is really the icing on the cake, and allows you to outfit your Newport home, guilt-free. Newport in winter can be cold and harsh, keep the winds at Cardiff Bay with our thermally efficient double glazed windows. The key to top quality energy efficiency relies on top quality glass. All of our double glazed windows are fitted with Planitherm glass, who are the top energy efficient glass manufacturers in Europe. This allows your home to be a comfortable oasis against the bitter winds, with its premium standard of heat retention. If you’re a person who enjoys to know about their products, you’ll be interested to know that our uPVC Windows use low emissive glass (low-e), which prevents heat giving you a cold shoulder, and reflects it back into your property to continue keeping you warm. All of our windows are filled with Argon gas as standard, which greatly improves thermal efficiency and ensures our windows achieve a very rosy ‘A’ standard through the BFRC. That’s the best you can get, in case you didn’t know. As well as talking the talk, our uPVC Windows can also walk the walk. Our multi-point locking systems are fitted as standard and really give our double glazed windows some muscle, ensuring you can feel safe and secure, at all times, in your Newport home. To make things better, all of our uPVC Windows also have reinforced chambers, and internal beadings. If you’re wondering what those things are, let us explain. Reinforced chambers are essential to ensuring your window survives, and repels any attempted break-in that includes force. The reinforcement of the chambers bring a high standard of fortitude to the window frame, and therefore greatly increases overall robustness. Internal beading is very important in ensuring the security of the frame, because it means the only access to the beadings (the hardware that hold the glass in place) is from the inside of your property. If your Newport home is fitted with double glazed windows which are externally beaded, there is a chance that an intruder could remove the beading, and then remove the glass. This raises cause for concern, because as the window could easily be put back, you wouldn’t notice you’d had a break-in straight away. To top it all off, our double glazed windows also come with a 10-year mechanical guarantee to ensure your security hardware will stick with you, and have the green light from high security (SBD). Our range of uPVC Windows features a variety of designs and colours, so take some time to browse our selection to find the ones you think will really benefit your home in Newport. Another great thing about our double glazed windows that ensure they’re the right choice for you is their adaptability to the famously unpredictable British weather. Not only will they keep their colour fullness and structural integrity, they’ll also allow a refreshing air flow in the summer, and comforting heat retention in the winter. So fear not, our uPVC Windows will never take a holiday, even when you do. Casement Windows are the backbone of effective window design. These double glazed windows have proved themselves to be very popular, and will no doubt be a welcome addition to your Newport home. The classic Casement Window model can be fitted in a variety of ways, including side openings and outward or top hung-vents. You can also get these uPVC Windows installed as bow or bay windows as well, if that’s what takes your fancy. Our double glazed windows maintain our high standard of double glazing, ensuring exceptional standards of energy efficiency, security and noise reduction. Maintenance-free and available in a wide range of colours, for both frame and handle, Inspire Windows double glazed windows will make sure your Newport home is one you’re comfortable to live in. Our Tilt and Turn are intelligently designed to uphold the classic look of Double Glazed Casement Windows, whilst also harbouring increased functionality. This design is transferable across all Newport homes. The tilt option on our double glazed windows allows you to open your window at a 180˚ angle, which means you have access to a lockable ventilation function which boasts all the benefits of a controllable source of air-flow, without any of the downsides. It means you can maintain our high standards of noise reduction and thermal efficiency without causing your home to overheat. The turn option is your standard opening of 90˚, which maximises air-flow and natural light allowance. This also acts as a great safety measure for your house, with the wide opening acting as an effective fire escape in habitable rooms. This means you can relax in your Newport home, rest assured that the correct safety measures are in place to help protect you and your family. If you’re looking to add, or maintain a traditional look to your home in Newport, our Double Glazed Sash Windows are the right choice for you. 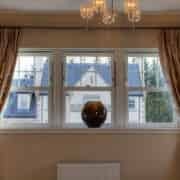 uPVC Sliding Sash Windows are unmatched in their ability to combine the endearing character of times gone by, with the greatly improved window design of the modern age. They can be tailor made to fit anywhere in your property, even the trickiest of places. You can also decorate them how you want, choosing from a range of Georgian bars or external astragal bars. If you’re really looking for something fancy, you can opt for a sash horn finish, or even have stained glass installed to really go for that traditional look. Don’t hesitate to use our quote engine to find out how the make the most of our competitive prices for uPVC double glazed windows in Newport. Alternatively, you can get in contact with one of our specialist and friendly team if you’d prefer a more personal touch. Are you looking for superb double glazing in the Newport area? Here at Inspire Windows we have a fantastic selection that are guaranteed to have a beautiful effect on your Cardiff property. personality of your Newport as well as keeping your family safe and sound. Security is incredibly important to us, which is why we only use the highest quality uPVC to secure your property. You can also be sure that our uPVC windows and doors comply with the latest building regulations, and are highly energy efficient. They combine spectacular aesthetics with multi-chambered uPVC that will trap warm air and keep your home warmer for longer. Here at Inspire Windows we have the most cost-effective, highly secure double glazing on the market! Choose us today for uPVC Casement Windows, uPVC Patio Doors, or even a superb new front door to replace a wooden door or outdated alternative. We have the perfect selection to enhance your Newport home perfectly. Our double glazing offers excellent security benefits, with highly secure, multi-point locking systems as standard to keep your Newport home as safe as it possibly can be. You’ll receive a 10 year mechanical guarantee on your security hardware, giving you peace of mind that our double glazing products are made to last. With £1000 towards your contents insurance in the unlikely event of a break-in, you can be sure that your Newport home will be safe and sound. Our double glazing is incredibly energy-efficient, effortlessly surpassing energy requirements and designed to keep your Newport warm all year round. Here at Inspire Windows we are always looking to reduce our carbon footprint. 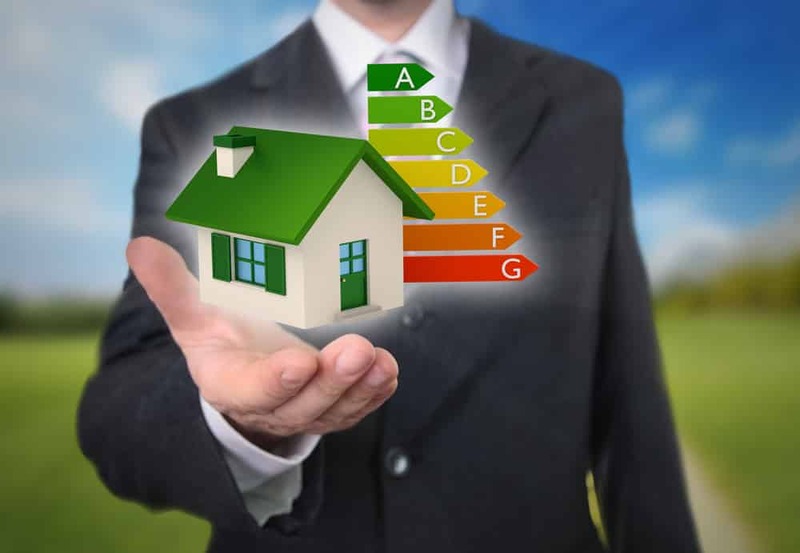 As approved by the Energy Saving Trust, our double glazing is certified as achieving high energy ratings, allowing you to reduce the cost of your heating bills significantly after installing our double glazed windows and doors. Our energy efficient double glazing will prevent unwanted sound pollution from entering your Newport property. There’s nothing worse than trying to relax with family or friends and experiencing interruptions from outside. Choose Inspire Windows for your double glazing today and achieve energy efficient, sound proof windows and doors! We offer a wide range of double glazing products from uPVC Windows, to uPVC Doors. It’s easy to find the perfect double glazing in Newport with Inspire Windows! When looking for beautiful double glazed windows in Newport, look no further than Inspire Windows. We offer the very best there is when it comes to uPVC Windows, using a fantastic REHAU profiling system. 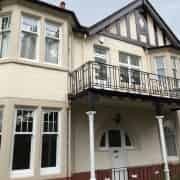 You can trust us to install high quality uPVC windows, as we’ve been a reliable installer in the Cardiff area for over 15 years. Whether you’re looking for uPVC casement windows, uPVC tilt and turn windows or uPVC sliding sash windows, we have the perfect range for you! 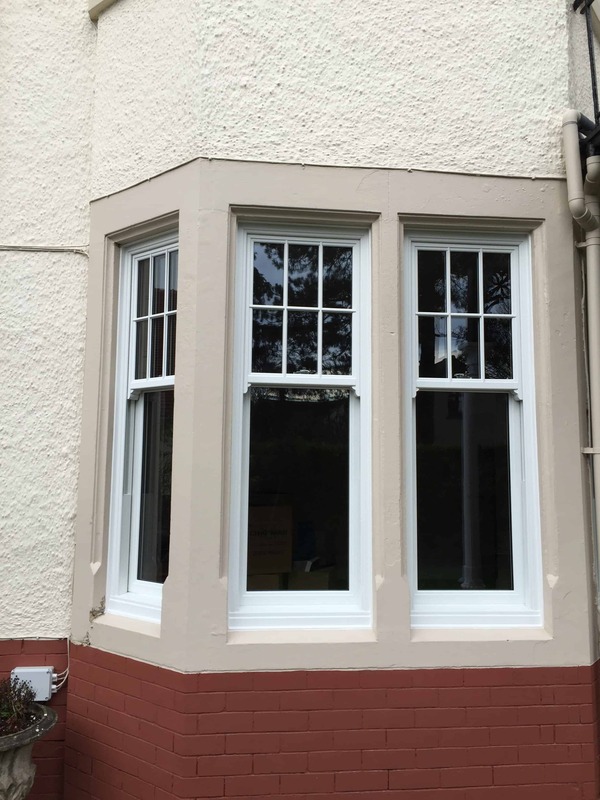 Our uPVC Casement Windows are an ever popular choice for our Newport customers, with a variety of ways in which you can tailor your new double glazed windows. With side openings, outward or top-hung vents, there are a range of ways in which you can customize our uPVC Casement Windows. They beautifully complement a range of Newport properties, whether you reside in an apartment of a charming Cardiff cottage. 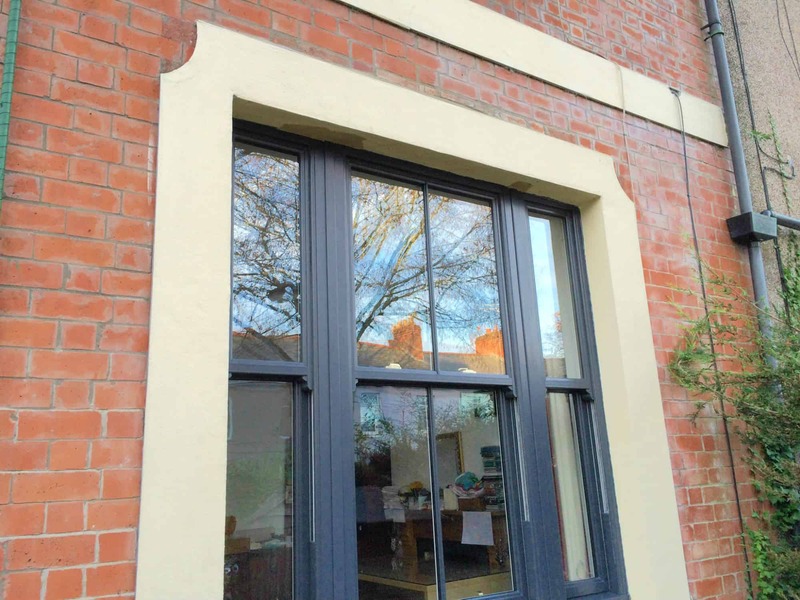 Using a triple chambered profile, our uPVC Casement windows are incredibly energy-efficient. You’ll be sure to notice a significant decrease in your heating bills after installing our uPVC Casement Windows! Are you looking for a practical double glazing option for your Newport home? Our uPVC Tilt and Turn windows combine a stunning design with tilt and turn function that will allow easy ventilation without compromising high security values. Our uPVC Tilt and Turn Windows are perfect if you live in a high-rise Newport apartment, as they can be cleaned from both the inside and out. Make cleaning easy with our fantastic uPVC windows; the uPVC requires very little maintenance – a quick wipe over with a damp cloth and you’re good to go! 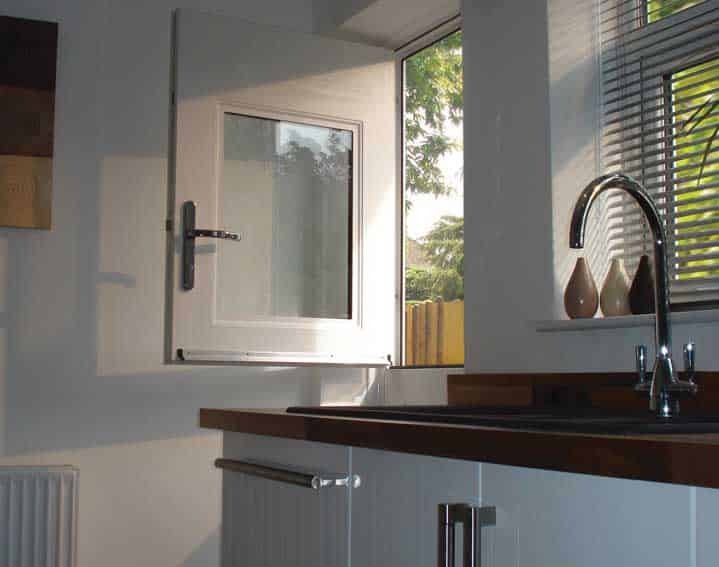 Manufactured using completely recyclable materials, our uPVC Tilt and Turn Windows are eco-friendly, allowing you to make a significant contribution to maintaining a greener environment. They also effortlessly prevent heat loss, offer ‘A’ energy ratings to keep your Newport home cosy and warm! Inspired by traditional double glazed windows? Our uPVC Sliding Sash Windows are perfect for in keeping with authentic style while using 21st contemporary uPVC for improved security and energy efficiency values. Georgian and astragal bars can be incorporated for a traditional aesthetic, and we can use obscure glass for a more private option. Detail is key here at Inspire Windows, which is why we always offer a range of decorative options for your double glazed windows. Our exquisite uPVC Sliding Sash Windows are accredited by high security, giving you peace of mind that your Newport home will always keep you family safe and sound. Perhaps you’re looking for new double glazed doors for your Newport home? We have a fantastic selection for you, ranging from front doors and back doors, to uPVC Patio Doors and French Doors. All highly secure and energy efficient, our uPVC doors offer superb protection against potential intruders and the often harsh effects of British weather. Choose Inspire Windows today for a comprehensive variety of double glazed door options today! 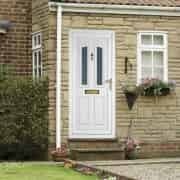 As our most popular front door option, our uPVC doors add a beautiful aesthetic to all kinds of Newport property. Using advanced uPVC technology from REHAU, our uPVC doors will keep your family safe and warm, while of course making your Newport property the envy of your neighbours! Available in a wide range of colours and finishes, it’s easy to find the perfect uPVC door for your Newport home! Our Stable Doors are perfect for superb functionality and ventilation. Featuring two sashes that can both open together and disengage, our Stable Doors are perfect for securing your Newport home while allowing fresh air to circulate your property. Manufactured with a core of galvanized steel, our Stable Doors are extremely robust and secure. This will effortlessly protect your Newport home from attempted forced entry, and are also anti-crowbar, making them incredibly difficult to break into. Our stable doors offer a unique design that will add charming country-style aesthetics to all kinds of Newport homes. Available in a range of colours such as ‘Golden Oak’, ‘Wine Red’ and ‘Chartwell Green’, all tastes can be catered for to ensure you achieve the perfect design for your Newport property. Choose our uPVC Patio Doors for a beautiful way to connect home and garden. Manufactured using the superb REHAU uPVC profile, our uPVC Patio Doors are incredibly robust, keeping your Newport home safe from intruders. Using a fantastic easy-glide system, our uPVC Patio Doors operate smoothly and virtually silently. You won’t have to worry about frustrating bumps and squeaks when installing uPVC patio doors from Inspire Windows, as they offer sophisticated, simple operation. 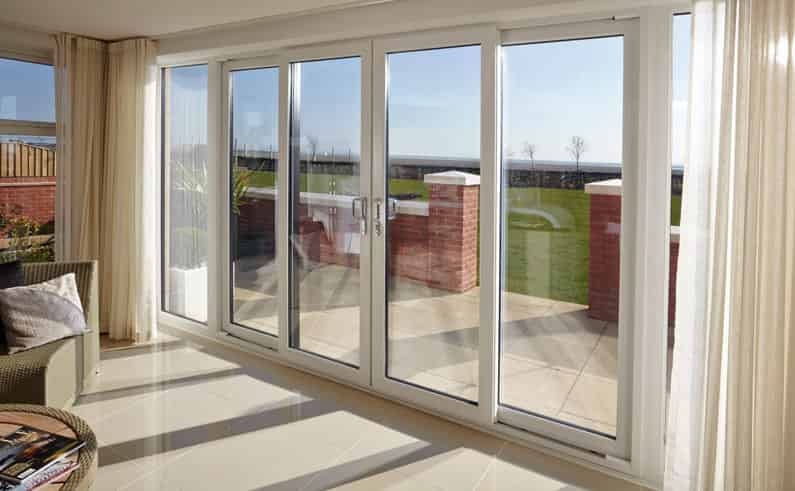 uPVC Patio Doors are perfect for maximising your space. 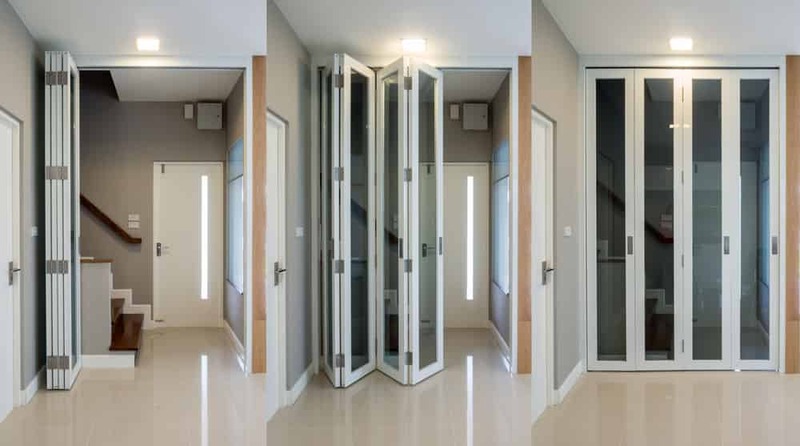 Not requiring additional space to open and close, they are an excellent way of connecting two rooms without wasting precious floor space. Occupying much less space than hinged doors, our uPVC Patio Doors are a wonderful choice for your Newport home! Bring an influx of natural light into your living space with our spectacular uPVC French Doors. 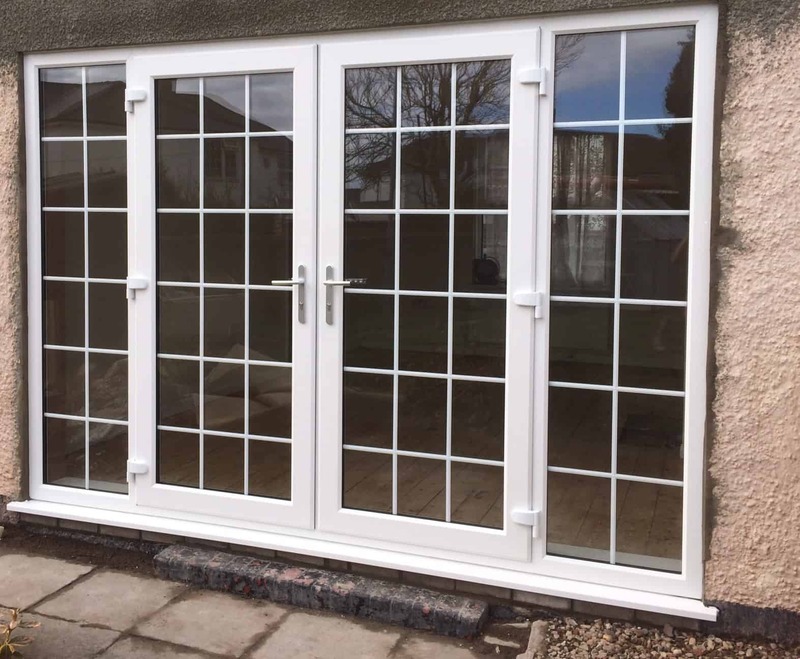 Perfect for connecting your home and garden or connecting two internal rooms, our uPVC French Doors are incredibly versatile, complementing a range of Newport properties. Here at Inspire Windows we can tailor your uPVC French Doors to your exact requirements, with an extensive variety of styles and low threshold options on offer. Using A rated Planitherm glass as standard, you can rest assured that your double glazing is of an incredibly high quality. Featuring a 3 chambered profile for excellent energy efficiency, our uPVC French Doors are unrivaled in the uPVC door market. They are incredibly low maintenance, never requiring a lick of paint, and will be a perfect addition to your Newport home for many years to come. Choose our stunning uPVC Bi-Folding Doors for a statement option that will transform your Newport home. Fully fitted with highly secure locking mechanisms, our uPVC Bi-Folding Doors are specially designed to keep your Newport home safe from harm, while giving you panoramic views of your property and garden areas. We can tailor your uPVC Bi-Folding Doors to perfectly complement your home, with a range of fold configurations and designs customized to suit you. They can partially or fully open depending on your specifications, so they can be fully opened for summer parties or partially opened to bring fresh air into your Newport home. Here at Inspire Windows we have fantastic double glazing prices that are highly competitive considering the unbeatable quality of our double glazed windows and doors. Start your instant online quote now for exciting double glazing prices, it takes no time at all! Alternatively, get in touch today on 02920 734573 to be put in touch with one of our friendly double glazing advisors – they’re always happy to help and can give you a good idea of a double glazing cost. Are you a home owner residing in the small but quaint Vale of Glamorgan town of Barry and seeking quality double glazing? Are your home windows in desperate need of revitalising? Look no further than Inspire Windows for all your brand new and replacement double glazing needs! We have acquired over 15 years of experience in the double glazing industry, bringing our exceptional knowledge and service to customers throughout Barry, the Vale of Glamorgan and the surrounding South Wales area. We are fully certified in providing cost-effective, secure windows for your home in Barry. If you’re a home owner in Barry, looking for brand new double glazed windows or doors shouldn’t be a chore, and that’s where Inspire Windows come in, we are ready to help you transform your property into the home you want it to be! Our incredibly high-quality products will never disappoint you, we have a friendly team of highly trained experts who always give 100% attention to detail to each and every project we take on, whilst never pressure selling to anyone. Our double glazing in Barry really does speak for itself! We are proud to supply our double glazing with locks fully fitted by Britain’s preferred locksmith, Yale. 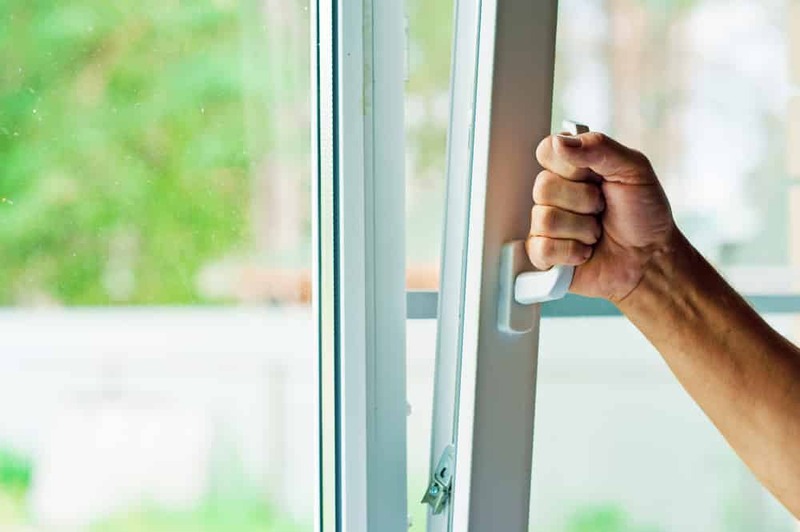 You and your family can never be safe enough, which is why here at Inspire Windows we supply the more secure double glazing to homes in South Wales. Our double glazing is also fully certified by high security, the official UK police flagship initiative that only backs the safest, best designed products that are guaranteed to prevent break-ins and other potential threats. Our doubled glazing products are specifically designed with security in mind, using reinforced chambers as well as internal beading to protect you and your family from potential threats. Here at Inspire Windows, we care about your safety, and know that you’ll feel safe in your Barry home with our double glazing keeping you and your loved ones from harm. Here at Inspire Windows we know how important cost-effective double glazing is. Not only do you want your double glazed windows to be reasonably priced, but it’s also key for your double glazing to be thermally efficient, reducing excess cost on heating bills. Our double glazing easily achieves this due to our ‘bubble’ gaskets consistently up-keeping tight weather seals. Our doubled glazing windows are not only perfect cost-wise; they are also very aesthetically pleasing. Whether you prefer a simple style of window, or perhaps something more intricate, Inspire Windows has something you’ll be sure to like. Homeowners throughout Barry and the Vale of Glamorgan have benefitted from calling in the Inspire Windows team for their double glazing needs. We provide a wide range of top-quality products, including UPVC windows, doubled glazing doors, conservatories, vertical sliders, and much more besides. All of these products and more are available to our customers in the Vale of Glamorgan; if you want the best double glazing Barry has to offer, you need look no further. 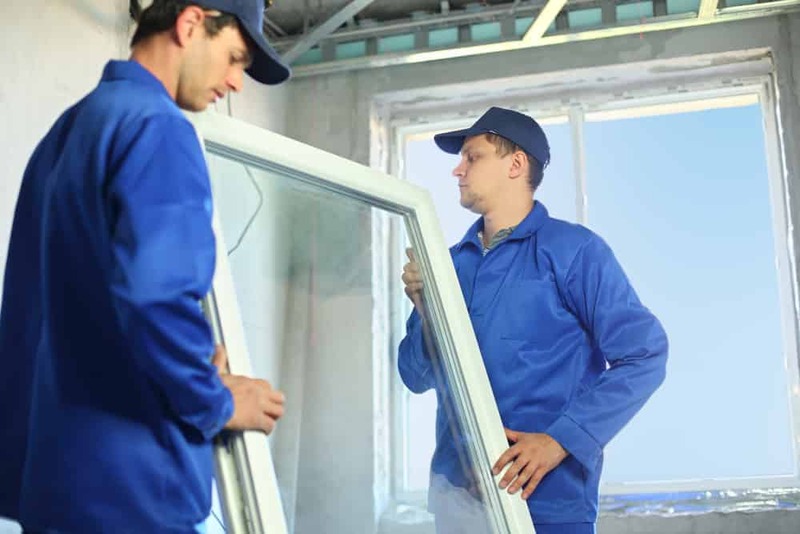 When your home needs new double glazing, hiring a local company to deal with the window installation is always the best choice. Inspire Windows is a locally-run company, so customers in the Vale of Glamorgan can be sure of a friendly, accessible service that meets all of their requirements. We welcome all enquiries, so if you live in Barry and you need new double glazing, get in touch with our window installation team today! Our window installation service is available to anyone living in Barry or the Vale of Glamorgan. If you’re interested in learning more about our peerless double glazing products, you can call Inspire Windows’ Barry office on 01446 344573 and our experts will be happy to answer any questions you might have. If you’ve already decided that Inspire Windows double glazing is for you, get an online quote now! There’s no job too big or too small for the Inspire Windows Barry window installation team. We’ve tackled a huge variety of double glazing jobs throughout the Vale of Glamorgan, and we’re always excited to take on new projects! Here at Inspire we offer superior composite doors throughout South Wales to perfectly fit your home and fulfil each individual desire. Using Endurance, our composite doors revolutionise classic wooden front doors, using the thickness and durability of wood combined with modern developments in security and maintenance to keep your family safe and sound. For the best composite doors in Cardiff, pick your external doors from Inspire. Our external doors are nearly 10% thicker than most other composite doors, guaranteeing your family protection in advance of any potential threats. Your home is your safe haven, and our 48mm thick cross laminated front doors ensure your Cardiff home the best there is in home security. All of our composite doors achieve high security status; a police-backed initiative recognising the resilience of these robust front doors. External doors are the entrance doors to your humble abode, and here at Inspire we believe it can never be safe enough. Our composite doors are secured with strong, cylinder guards from Yale, your replacement door will give you no need to worry and, for that extra peace of mind, every composite door has a ten year manufacturer guarantee as well as insurance, giving you peace of mind as you sit inside your protected home. Not one for varnish or paint? At Inspire, our composite doors endure weather effects without those tricky extra layers of glazes and finishes. Choose a no-fuss composite door for your Cardiff home and you won’t have to worry about rot or warping, due to our hardwearing structure made from seventeen different laminations. The result? Beautifully designed, low maintenance composite doors. Whether colour or style is your forte, we have a composite door to fit your Cardiff household. Our designs are timeless, so if you prefer the traditional timber look, or perhaps a pop of colour, we have something to fit your needs. From the classic ‘Golden Oak’, to the rustic ‘Rich Red’, we have something to suit your specific tastes. Composite doors can be tailored to your home – cottage or castle, we can provide an external door to perfectly compliment your internal habitat. A door can speak a thousand words when inviting over friends and family, so make a good first impression with one of our beautifully designed composite doors. Here at Inspire, we guarantee you won’t be pulling at your purse strings in those colder winter months. Keep your property well insulated with our Pilkington double and triple glazed glass panels for your external doors. These superior quality glass panels are manufactured to BSEN1279 standards ensuring the insulation of your home is not compromised. Energy efficiency is a top priority here at Inspire, and our composite doors hold no exception. Make a good investment for the future by picking a composite door from us– secure, weather-resistant external doors add that guaranteed extra value to your home, while protecting you and your family. If you’re looking for a secure external entrance door to a new home, composite doors are the perfect way to ensure you will continue to benefit from your home in future years. The thickness and durability of our composite doors, guarantee your family privacy, as well as that extra protection against noise pollution from outside. There’s nothing worse than hearing that car go by when you’re trying to sleep, or the murmur of people walking past your home when you’re trying to entertain guests. Choose Inspire for your front door, and enjoy the peace and quiet. If you like to stay environmentally friendly, our composite doors are certainly for you. We supply Wales with composite doors that not only contain lead-free stabilisers maintaining good environmental factors, we also harvest the timber for our wooden doors from forests that are sustainably managed to suit the future of our planet. Here at Inspire, we care about our carbon footprint, so we ensure the whole process takes place with the environment in mind – from the carbon-conscious transport vehicles that deliver our composite doors, to our thermally efficient and 100% recyclable door frames. Buying British made products is important to many families, and with all our composite doors built and manufactured in the UK, you can indulge in a beautifully made entrance to your Welsh home. You shouldn’t expect anything less than the best from your composite door, as it protects those you care about the most. Use Inspire for your Cardiff home today, and let our composite doors take care of security for you. Use our simple Online Quote Engine to find your Composite Doors cost today. Alternatively, please don’t hesitate to get in touch with our friendly team to find out more.